Note: I originally conducted this interview for the Stool Pigeon magazine, and was published on their website in 2012. Since that doesn’t seem to be currently accessible I thought I’d reprint it here. 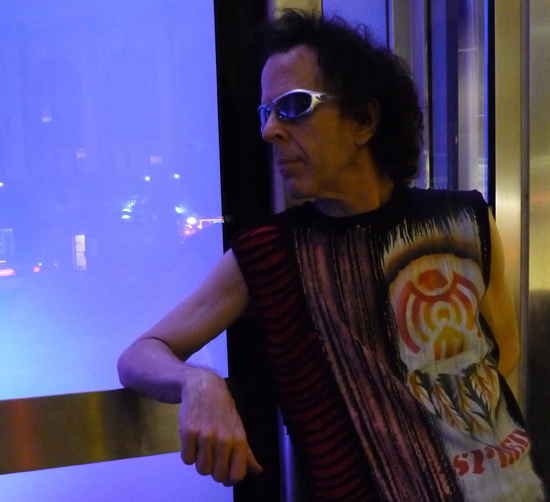 That’s an unnecessarily humble Martin Rev, who for over forty years has been the keyboard-playing musical half of seminal New York electronic duo Suicide, alongside menacing, Elvis-from-Hell vocalist Alan Vega. 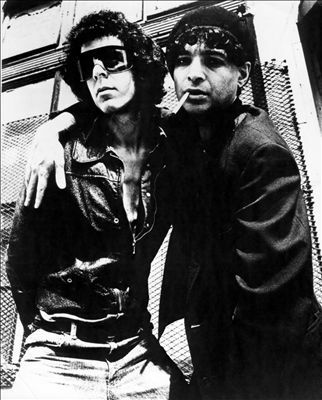 Received with almost blanket hostility on their inception, and generating riots when they toured supporting the Clash and Elvis Costello, Suicide have proved influential on generations of forward-thinking artists, from Joy Division and the Jesus and Mary Chain to Spiritualized, The Horrors and MIA, whose ‘Born Free’ was based around a sample from Suicide’s 1977 classic ‘Ghost Rider.’ The latest artist to cover a Suicide song is Neneh Cherry, who has recorded a brilliant version of the band’s ‘Dream Baby Dream’ on her album with Scandinavian jazz collective The Thing. Commonly considered a part of punk or post-punk, Suicide aren’t usually imagined hanging out with the major figures of 1960s jazz. But by the time of their ground-breaking eponymous debut LP in 1977 the band were already veterans of the New York club and art circuit, following on from fellow New York electronic pioneers the Silver Apples, and contemporaries of krautrock bands like Can, although Rev insists he hadn’t heard either of these artists when Suicide started out. The show will be Rev’s first performance in the UK capital since Suicide opened for Iggy and the Stooges at the Hammersmith Apollo in 2010, where the duo played their debut LP in its entirety. I asked Rev how he felt about the whole notion of such carefully curated, retrospective performances, which would seem the diametric opposite of Suicide’s onstage ethos of orchestrated chaos. Rev obviously retains the forward-thinking, improvisatory attitude that characterised the modern jazz he was listening to, and indeed performing, prior to Suicide’ early seventies inception. It’s interesting that you should say that you were drawn to the complexity of jazz, because when Suicide started out you were known for doing this very minimal, brutal, deliberately simple music that was almost seen as a reaction against people like the Allman Brothers and the Grateful Dead and these extemporising bands. But actually before that, you had the chops to be doing quite complex stuff. Immediately before Suicide you had a band called Reverend B. What were they like? Was that in the jazz period, or had you moved more into rock n’ roll by then? And out of that you created some music that eventually was very influential. Songs like ‘Ghost Rider’; the riff in that is so minimal and simple, yet it seems like it’s been ripped off and sampled a million times since, it’s kind of like the ‘Smoke on the Water’ of electronic music. I wonder if you can remember coming up with that, and if you felt like it stood out from everything else at the time. You’ve always kept moving forward with your sound though; I guess you don’t pine for the days of a forty buck keyboard or whatever. So you’re still enthusiastic about the possibilities of new technology and seeing what you can do with it? And are you working towards a new album at all, at the moment? And is any of this material likely to be showcased at the gig on the 25th?